I know those of you who live in Florida have heard of CPALMS, but have you used it? This is such an excellent resource and it is only getting better. I have been part of a team of teachers realigning the resources to the Common Core standards, all summer. This week some of us were invited to a retreat in St. Petersburg and we spent the day training and reviewing resources. You should see the hotel and surrounding area, these guys really know how to treat a girl! Friday will be an exciting day as iCPALMS will be launched, so if you haven't made your free account on the website yet, make sure you do this. It is a free resource and you will have access to thousands of items made by teachers just like us. You can be assured that the resources are dependable and accurate, since teachers (like me) are reviewing them for approval to be published. You can go to www.cpalms.org to sign up or you can click the sun at the top of my post. During some of our down time in training, I had to do some blog stalking. The teacher behind me tapped me on the shoulder and asked me what blog I was looking at because of course, she is a blog stalker too. The teacher next to her confessed to being a blog stalker, so I told them not only am I a stalker, but I blog too. One of them knew my blog, so now I feel so famous, LOL. I will keep updating everyone on the changes to come with the CPALMS website, so be on the lookout. I am so glad, Lisa. Let me know what you think after you have searched through it for a while. I did not know they were coming up with iCPALMS! Thanks for the information! That is so awesome I didn't know about CPALMS but I'll be checking it out now! Thanks for the info! 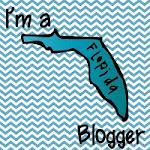 Isn't it so fun to find other blog stalkers?! You will love it! It is fun meeting blog stalkers, we are everywhere! YOU ARE SO TOTALLY FAMOUS!!!! And I now blame you for my "OBSA" (Obsessive Blog Stalking Addiction)!!!!!!!! lol! Thank you for sharing your bountiful blog knowledge with me! Yes... I'm totally going to have to create a blog now!!!!!!!!!! HAHAHA!!! Yes you are going to have to create a blog, thank you for making me famous! Common Core Chicks, that's what they should call us! As soon as I get to my classroom on Monday, I will take the before pic! Where in Florida are you? I'm in Tampa and would love to pick your brain as we move into Common Core. I am leadership cadre training with the DANA center for a work session on the PARCC assessments next week. I'm so excited to be part of that. I'll blog about my experience next week and would love to keep in touch. I am in St. Pete. Tonight is my last night, I am on my way home tomorrow. I would love to keep in touch though, you can email me and we can pick each others brains. I would love to hear about the PARCC, there isn't much out there about it yet, just that it will be different... It sounds like you will be doing some great work! Cpalms is great. Our principal spoke about it a lot during pre planning. I would love to have went on that retreat. I'm a Florida teacher so it would have been a short drive away.